Rosetta Herald Obituary - Beattyville, Kentucky | Newnam Funeral Home, Inc.
Rosetta Herald, daughter of the late Ike and Ethel Barrett McIntosh was born in Lee County, Kentucky on February 2, 1947 and departed this life at her home in Beattyville, Kentucky on February 7, 2019 at the age of 72 years and 5 days. Rosetta was a homemaker and attended the Beattyville Assembly of God. 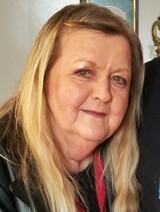 She is survived by two children, Markeeta Moore and husband Tyler of Beattyville, Kentucky and James Couch and wife Kim of Richmond, Kentucky; three grandchildren, Ashley Mays and Bobby Fox of Beattyville and Corban Couch of Richmond; three great grandchildren, Talon, Hunter, and Travis Fox; three sisters, Loretta Fox of Morrow, Ohio, Annetta Allen of Virginia, and Dana Coomer of Beattyville; a special niece, Jenny Napier of Irvine, Kentucky; and a host of other close relatives and friends. 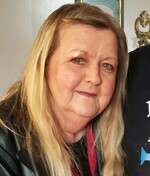 In addition to her parents, Rosetta was preceded in death by four brothers, Brack Seale, Winfred McIntosh, Winston McIntosh, and Donnie McIntosh. Pallbearers include James Couch, Corban Couch, Bobby Fox, Tyler Moore, Rick Napier, Josh Napier, Ralph Coomer, and Travis Mays.